By LUDWIG VON KOOPA - You won't be surprised. Here at KoopaTV, we think the notion of "console wars" is outdated and childish. Since we're mature, progressive adults, we'll say the gamers won. What a great time to be in this industry! "Hey, KoopaTV, I can't take you seriously because you're biased for Nintendo!" You're right. So I'll quickly go over everything else. There is no doubt EA lost. They booked two hours, and took only one. The last hour was dedicated to showing off Battlefield Hardline on the roof. Weird. They had nothing interesting. They could've easily been the second-best company if they showed the Madden Curse movie! But no, they showed a bunch of boring nonsense sports trailers with nonsense focuses. It's a bad thing when a President Barack Hussein Obama lookalike in The Sims 4 is the best part of the conference. We actually fell asleep watching this conference, which hasn't happened in any of the other conferences this year! Ubisoft showed stuff we already saw or knew about either beforehand or from Microsoft's conference. Well, we relatively liked what we saw from Far Cry 4. Aisha's dynamic with the Ubisoft developers/executives was a lot less entertaining than last year. The Crew was a pleasant sight, and Ludwig always has a soft-spot for Tom Clancy's The Division. But there wasn't anything meme-worthy, and that is why we watch these things. Sony's conference presentation was nowhere near as good as Microsoft's. Microsoft had a straight-up trailer and gameplay after trailer for the whole time. Sony had surprising games popping out of nowhere like Little Big Planet 3, and then they ruined it by name-dropping NeoGAF. That's horrible. Horrible, horrible move by Sony. NeoGAF is the lair of evil in terms of videogame forums. Suda 51 and Grasshopper Manufacture pulled a Hideki Kamiya from Microsoft (well, I guess he was never Nintendo-exclusive for a period. Must be because Travis Touchdown isn't going to Super Smash Bros. 4 like I wanted) and announced Let It Die. Then they showed "one last game" and it was No Man's Sky, and it looked pretty. I was gushing over it a bit. I thought "one last game" meant the conference was going to end, and it really should've at that point. But then they just ruined it with weird stuff about comic books and watching stuff on television. Sony actually tried to take the "it's all about the games" line they had last year and from Microsoft this year, and then went back on it mid-conference. The PlayStation Vita got treated terribly, and we know going forward it's basically done now. YouTube is now coming to the PlayStation 4, which bewildered us because we thought that was already a thing. Then we got remakes. 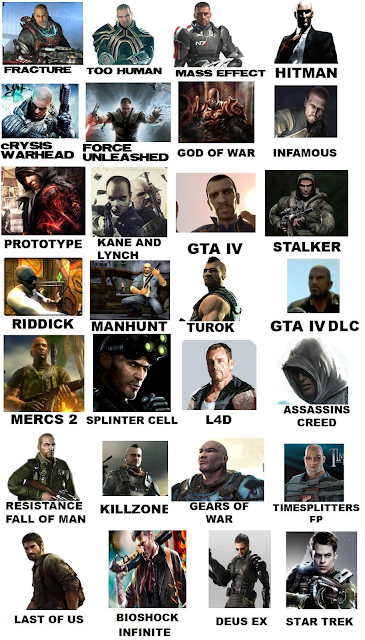 They're not even HD remastered stuff, because they're from PS3 to PS4. We define those as rehashes. The Last of Us and Grand Theft Auto V. But what they did with Grand Theft Auto V was impressive. We were actually complimenting the game before we realized what it was. Us! KoopaTV! It's the only game we've ever done a one-two punch against in the history of the site. That's some mad props. Batman: Arkham Knight was cool, too. And then it ended with Nathan Drake again, who we don't care about. His only positive contribution to society was eliminating Pac-Man in last year's GameFAQs Character Contest. Otherwise, anything else he might do isn't recognized by us since he looks like everyone else. I've been waiting to use this image here since August 2013, and now I finally will! We stated during Sony's live reaction that Sony did better than Microsoft. Upon further inspection, this didn't make sense. Sony had serious flaws, and Microsoft definitely came much stronger through this E3 than Sony did. Especially compared to last year. But this is KoopaTV, where the main thing we care about is Super Smash Bros. 4. Nintendo had the best format by far. When we first heard about what their E3 would be like, I discounted the Treehouse Live stuff as typical fare. I'm happy to say I misplaced my hype. Nintendo's strategy was genius. They dominated not only Tuesday, which was their Digital Event and then the Invitational, but they dominated Wednesday and Thursday with in-depth live gameplay and announcements on their games. We had fourteen articles dedicated to Nintendo's presence at E3 2014 this year. Look at the article distribution on our E3 2014 organizational page! Compare to one last year. That wasn't because Nintendo-hype. That was because we had to cover all that. We had no choice! There was just so much content that in order to commentate on it, there was no time to just write detailed stuff on everything. We had to live-react, and thanks to all that news, June 2014 had the most articles on KoopaTV in a month than any other month in KoopaTV history. People are saying Nintendo should do Treehouse Live more often, and we agree. Nintendo's main showcase, Super Smash Bros. 4, got massive coverage. It was one of the first things in the Digital Event, and Mii Fighter was unveiled in spectacular fashion. We got the near-field connection Amiibo figurines. And it ended with Lady Palutena being revealed. We had the Invitational Tournament, which was super-hype and amazing. The next day, we got to go to Best Buy and play the game for ourselves! What an amazing combo from Nintendo to showcase the best game at E3. You get to see new info, you get to watch amazing people play it, and then you get to play it. The other companies didn't come anywhere close to that. And even then, we got to watch the game some more at Treehouse Live on Thursday. 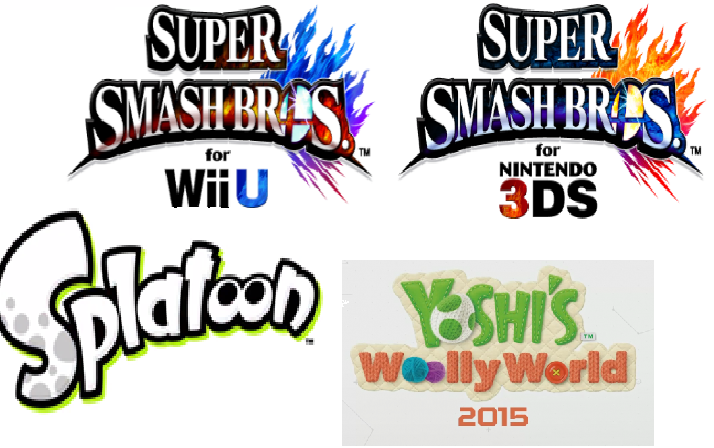 Yoshi's Woolly World got that new title, and was revealed not to be canceled or anything. We saw Captain Toad's Treasure Trackers and The Legend of Zelda on Wii U, in Hyrule Warriors form and the Skyrim-clone form. The Bayonetta combo-package took folks by pleasant surprise. We saw Splatoon, Nintendo's big new IP of the show. The other one was Code Name S.T.E.A.M. on 3DS. Splatoon is my second-most hype game of the show, behind Smash 4, of course. Yoshi's Woolly World comes in third. 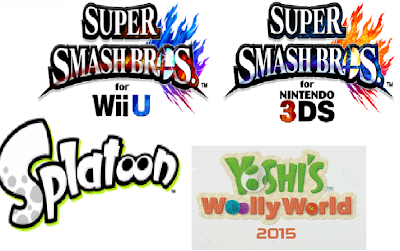 I'm hyped for that to be a lot better than Yoshi's... previous few titles. Nintendo is definitely not abandoning the Wii U. They're pushing the momentum forward! Nintendo's conference also gave us one of my wants for E3, which was a release date for Professor Layton vs. Phoenix Wright on August 29. Nintendo's conference had some low-points, mainly Shigeru Miyamoto's projects. Those were terrible to watch. Meanwhile, the Robot Chicken stuff during the Digital Event wasn't that bad. Sure, it was kind of ugly, visually, but I really liked the one Little Mac was in. It also showed Mac has come back to the upper echelon of Nintendo's cast, which makes me pretty happy. We still think the Nintendo Wii U and 3DS have bright futures, and E3 solidified that thought. There was the unique Nintendo charm present in what they had to show for us. There wasn't everything we wanted, but it's silly to hope for that. What they showed was more than good enough, and there was something for everyone. Definite improvement from last year! Ludwig is all about hyping Nintendo up and trying to help Nintendo's sales. Follow him at Miiverse at NNID PrinceOfKoopas! For 2013's E3 winners and losers, look here. For a discussion on the companies' E3 2013 presentation styles, look here. How did the companies match-up in 2015? See here for those winners and losers.